Ask a fan of classic hits radio about the name Eddie Money, and odds are good that you will hear about only two or possibly three songs. But in reality, Eddie Money had quite a good run, with almost a dozen top 40 singles and four platinum albums. Since we’re talking about him on this page, though, it’s likely that you haven’t heard some of his songs on the radio in a long time…if ever. Long before any of the aforementioned albums and singles appeared, and even before he adopted the surname by which most people know him today, Edward Mahoney seemed destined for a career in law enforcement. Per his website, his father had been a police officer, and Eddie himself was a police officer in New York City for a couple of years before moving to California in the hopes of pursuing a music career. It took a few years, but eventually Mr. Money signed a contract with Columbia Records and found success on the charts almost immediately thereafter. A year after the release of his first, eponymous, album, Mr. Money released the follow-up album, Life for the Taking, which, while not as big a seller as his first album, would end up being his best charting album. The first single from Life for the Taking, “Maybe I’m a Fool”, tells a familiar story about a former lover still carrying the torch for his erstwhile mate. It also includes almost as many instances of the lyrics “na na na na” as Journey’s “Lovin’, Touchin’, Squeezin'”, which was released just a few months later. “Maybe I’m a Fool” entered Billboard’s Hot 100 at #81 for the week ending January 27, 1979 (chart | magazine); from there, it took over two months to reach its peak of #22 for the week ending April 7 (chart | magazine). The single spent a total of 13 weeks on the chart. A follow-up single, “Can’t Keep a Good Man Down”, was, in fact, kept down out of the top 40, peaking at #63. After that, Eddie Money had rather uneven success through the early 1980s (though Allmusic describes his success with funny narrative videos on the still-fledgling MTV) until the release of his comeback album, Can’t Hold Back, in 1986. It was this album which produced his biggest hit, “Take Me Home Tonight”, a duet with 1960s recording artist Ronnie Spector. After that, his songs more consistently hit the charts until the shifting tastes in pop/rock music right around 1991 caused sales for Mr. Money, and his style of music in general, to decline. Not long thereafter, Columbia Records, which had been his only label since 1977, dropped him. 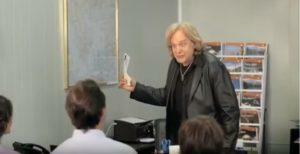 These days, Eddie Money is still touring and occasionally acting, including having appeared in a memorable GEICO ad in which he ran a travel agency centered entirely around his singing “Two Tickets to Paradise” to anyone who came in. 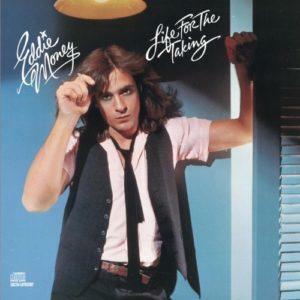 That song, along with “Baby Hold On” and “Take Me Home Tonight”, are probably the most common Eddie Money songs played on classic hits and/or classic rock stations today. Others, such as “Maybe I’m a Fool”, deserve a few more spins as well.